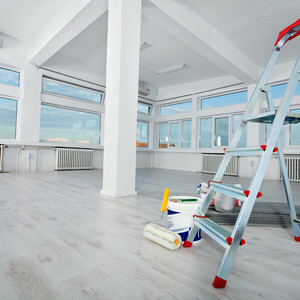 ServiceMaster Clean of Saint John has been providing commercial carpet cleaning as well as other commercial cleaning services to area businesses for more than 45 years. We have maintained the highest standard of excellence in every aspect of our work. We proudly serve Southern New Brunswick from St. Stephen to Sussex, from St. Martins to Cambridge-Narrows. Our carpet cleaning technicians are highly trained and certified. Our team, of over 30 employees, are dedicated to exceptional customer satisfaction and we are committed to providing impeccable services at a fair price. Respect, honesty and understanding are part of what we are and how we operate. So whether you want us to clean your carpet, upholstery, hard surface floor or are in need of post construction cleaning for your commercial facility, our service is prompt and the work is done to your satisfaction. At ServiceMaster Clean of Saint John, "we treat your home like our own"
ServiceMaster Clean of Saint John was recently voted #1 cleaner by the citizens of Saint John through the Telegraph Journal 2017 Readers Choice Awards!